These shrimps are so big, sweet and perfectly crispy. A hearty serving of prawns covered in a heap of crisp fried cried cereal. 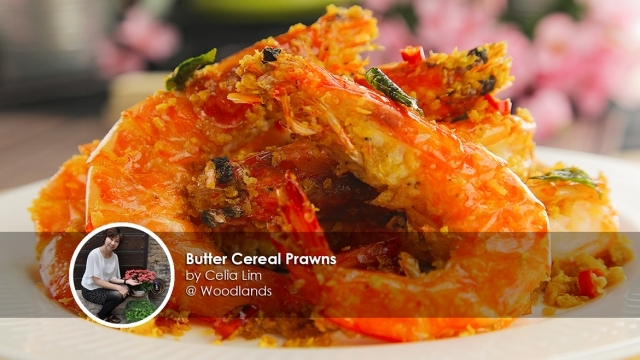 Our no-stress recipe from home cook Celia Lim to cook the ultimate Butter Cereal Prawns dish. 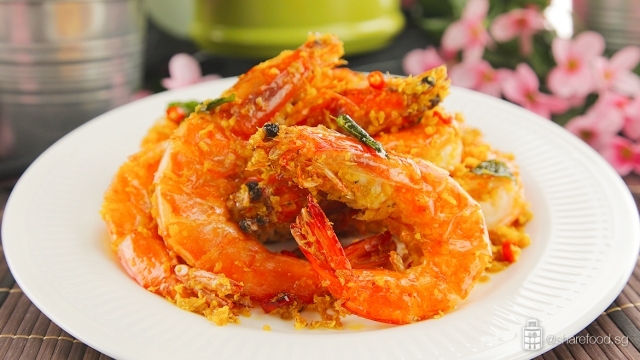 Perfectly deep fried prawns resting atop a generous bed of crispy golden crumbs. Butter cereal prawns are a quintessential dish Chinese restaurants here in Singapore. 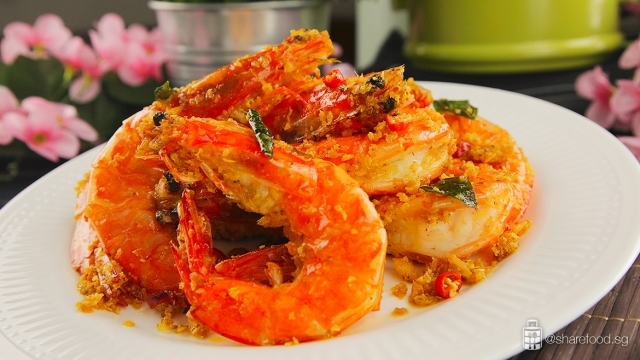 The prawns are first deep fried cooking and tossed in a batter of egg yolk, curry leaves, cereals and a little chilli padi for a piquant kick. 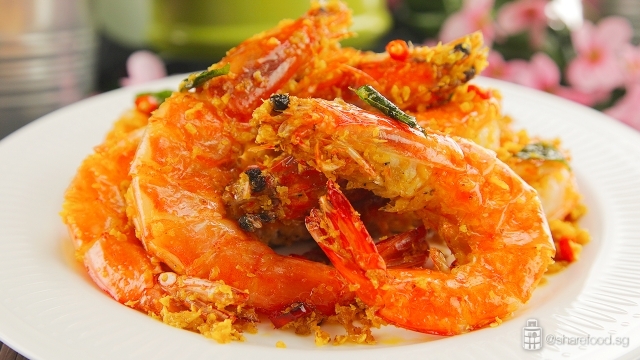 The end result is a luscious and glorious plate of cereal prawns. These shrimps are so big, sweet and perfectly crispy. 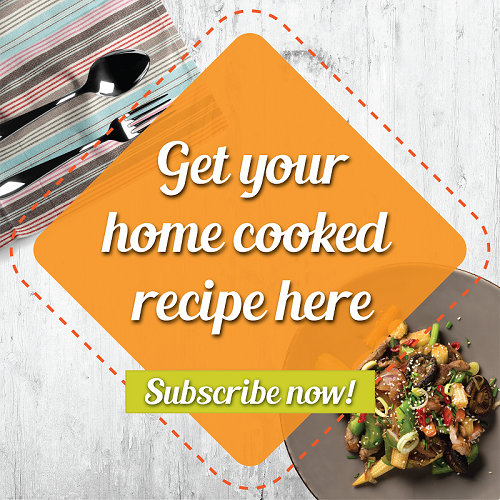 We assure you this classic dish is really simple to make. Use a pair of kitchen scissors and trim the legs, whiskers and rostrum. 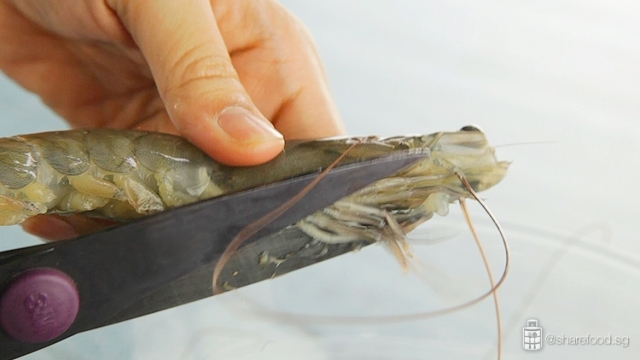 With a sharp kitchen knife, cut a slit along the back of the prawns. Pull out and discard the intestinal vein that runs lengthwise. Trim off the whiskers and legs as well. 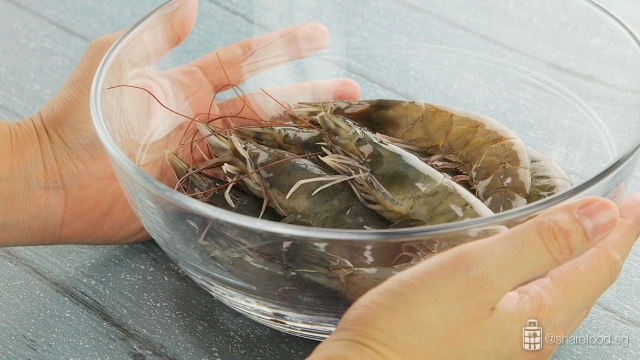 In a pot with oil, deep fry the prawns for 30 seconds till it is cooked through. Fry till the cereal is mixture is crisp and light. Add in prawns and toss to coat well. 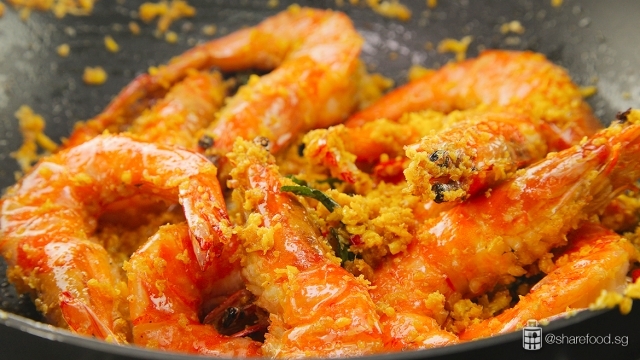 The end result is a luscious and glorious plate of cereal prawns. Prepare the egg yolk mixture and cereal mixture separately. In a large pan or wok, heat up butter. Pour in egg yolk mixture and stir until the mixture changes to a thread like consistency. Add in curry leaves, cut chilli and cereal mixture. Fry till the cereal is mixture is crisp and light. Add in prawns and toss to coat well. There you have it, a platter of aromatic prawns with a hint of curry leaves and gentle heat from the chilli padi. This dish will have you chowing down to the very last bit! 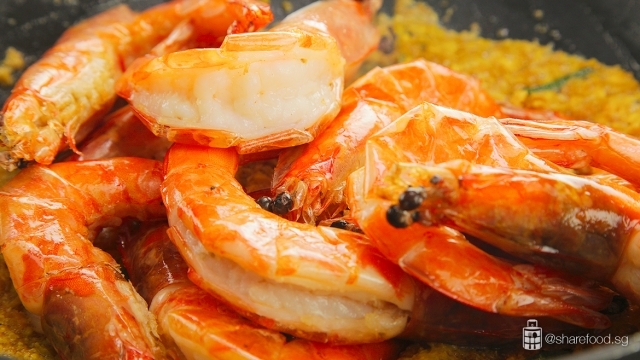 Even if you don't fancy eating prawn shells, the crispiness might just convert you. This moreish butter cereal prawns will have you chowing down even to the last bit of cereal crumbs. 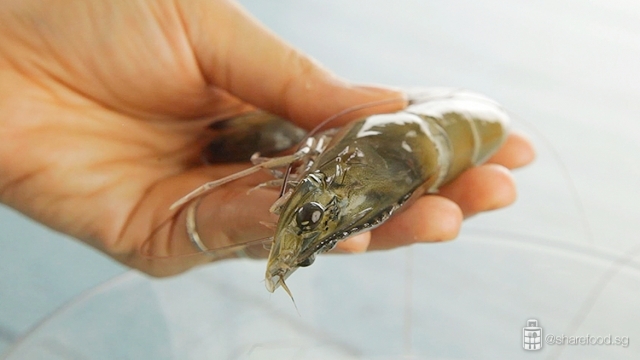 Prawn: Trim the legs, whiskers and rostrum. Cut a slit along the back of the prawns. De-vein and wash thoroughly. Pat dry. Sprinkle some salt, toss and set aside. Egg Yolk mixture: Mix all ingredients together. Cereal mixture: Mix all ingredients together. In a pot with oil, heat to 160 degree Celsius. 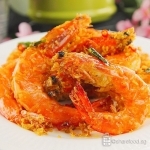 Deep fry the prawn for 30 secs or until it is cooked through. Do not overcook the prawns. Dish out and drain on paper towel. 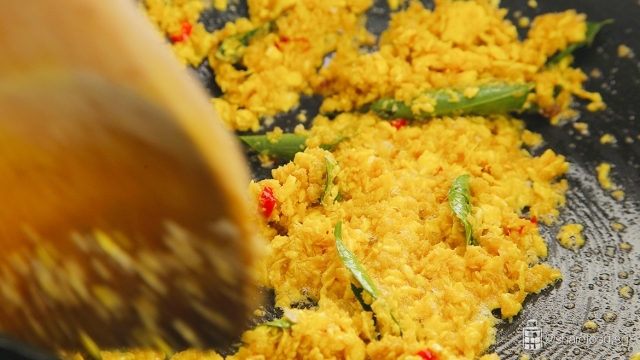 In a large pan or wok, heat butter over low heat. When the butter melts and begins to bubble, pour the egg yolk mixture in slowly. Keep stirring until the mixture becomes a thread like consistency. Add in curry leaves, cut chilli padi and continue to stir-fry over low heat till the curry leaves emit a subtle fragrance. Add in cereal mixture and continue to fry till the cereal is crisp and light. Add in prawn, toss to coat well. Transfer to a plate and serve right away.